The project officially launched on August 19th at the Whitemud Park in Edmonton, just metres from the pipeline's route through the city. 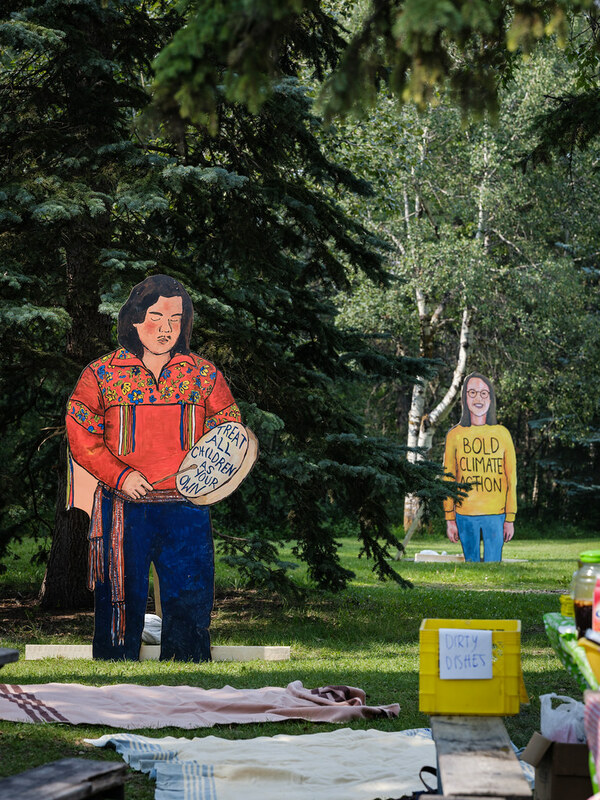 It is set to include 25 larger-than-life paintings of Albertans, First Nations and Métis peoples who are opposed to the now-estimated $10-billion tar sands pipeline project. 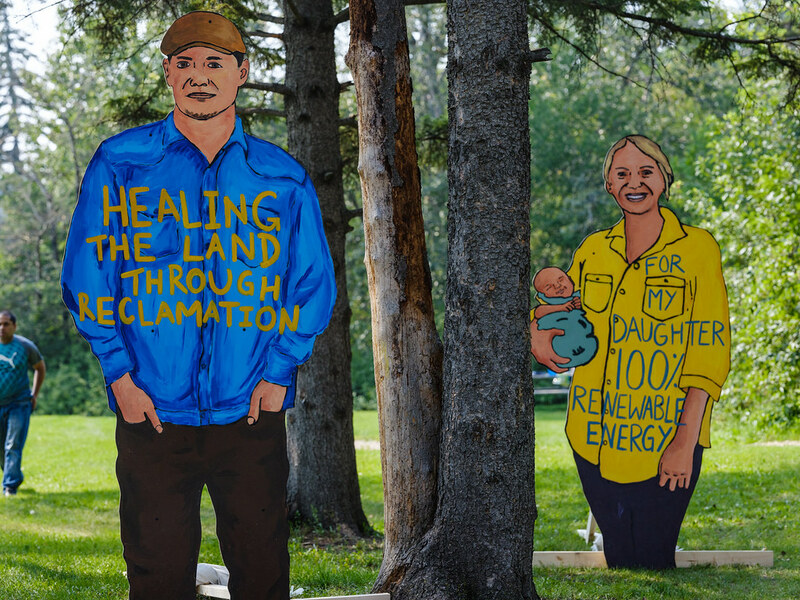 Standing 8-feet tall, the bright portraits will be installed directly along the route of the pipeline and will display quotes of participants’ hopes and visions for the future of Alberta. 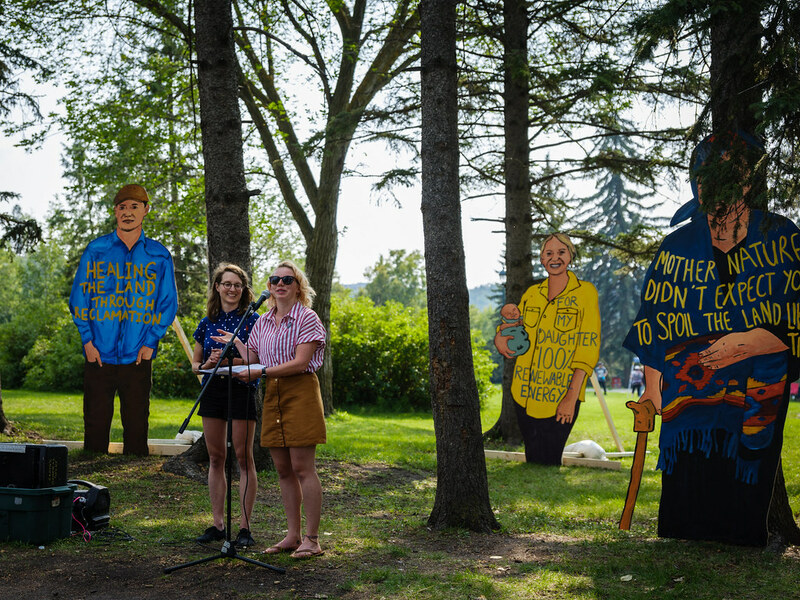 Climate Justice Edmonton has been collecting submissions for the past two months and says they’ve received responses from people of all ages and from all backgrounds. 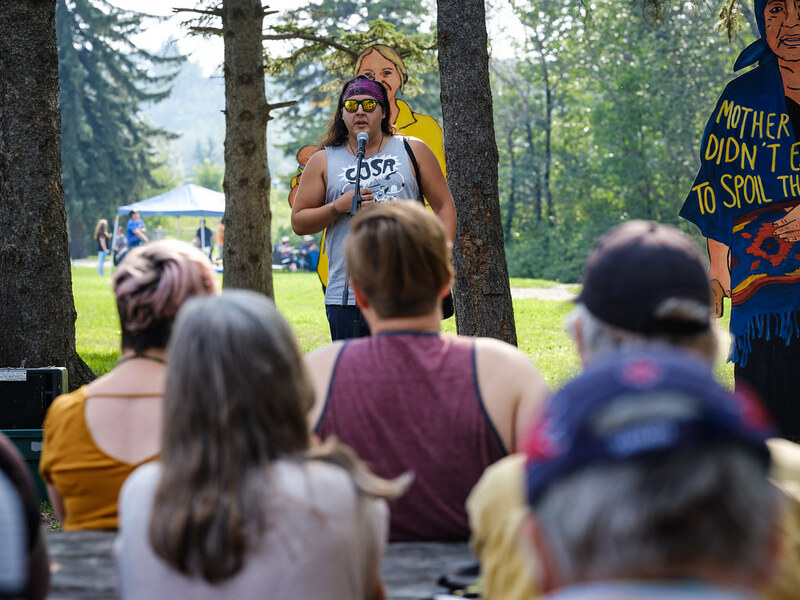 “People on the Path is about dismantling the myth that all Albertans are pro-pipeline and can’t possibly envision a future beyond fossil fuels. 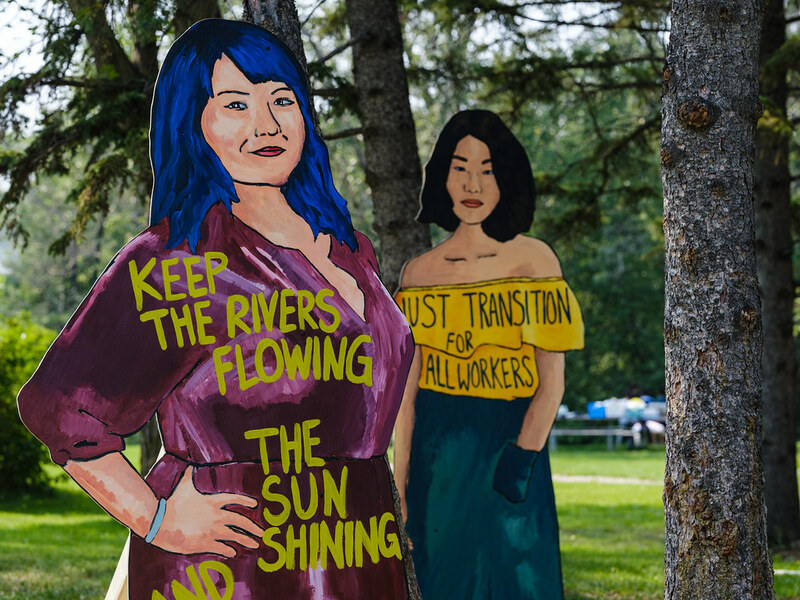 Instead, we’re creating a new narrative for this province: one that upholds Indigenous rights and sovereignty, puts workers first, and honours our international climate commitments,” said Hannah Gelderman, an artist and organizer with CJE. 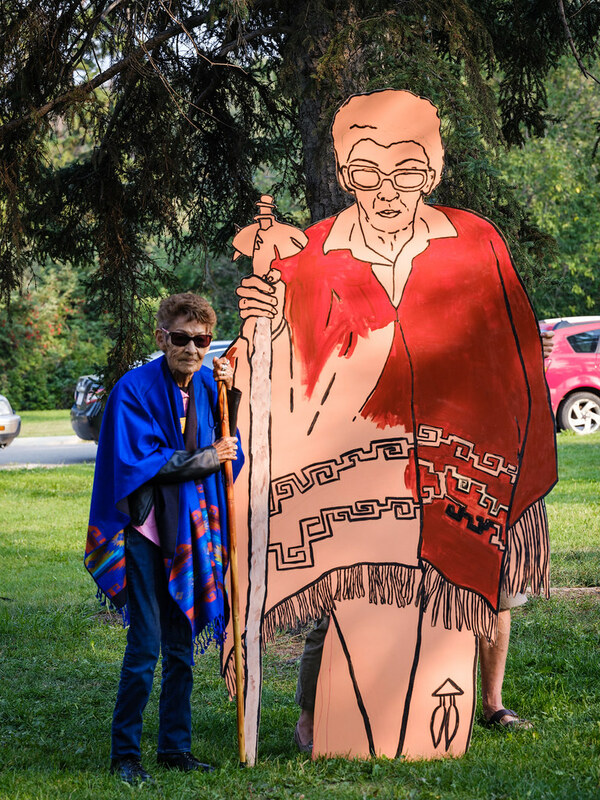 People on the Path also aims to amplify the resistance of Indigenous peoples impacted by the Trans Mountain Expansion by showcasing the visions different elders and community leaders have for the lands that rightfully belong to them. “We’re settlers on this land. We don’t get to dictate what the future of this place looks like but if this project lacks the free, prior and informed consent of Indigenous peoples then it’s our obligation as settlers to fight it,” says Gulamhusein. 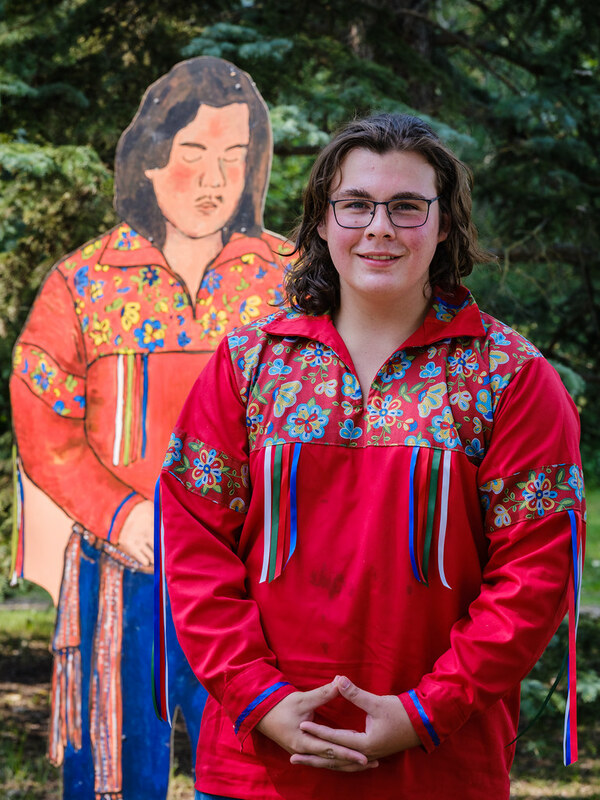 “Our goal is to spark a conversation across Edmonton and throughout the province about what kind of future we dream of handing down to future generations. Are we okay with leaving behind a world of extreme wildfires and smoky skies or do we have a better vision for this place? Because if we do, we need to be fighting for it right now,” said Jenny Kleininger, another organizer with CJE. 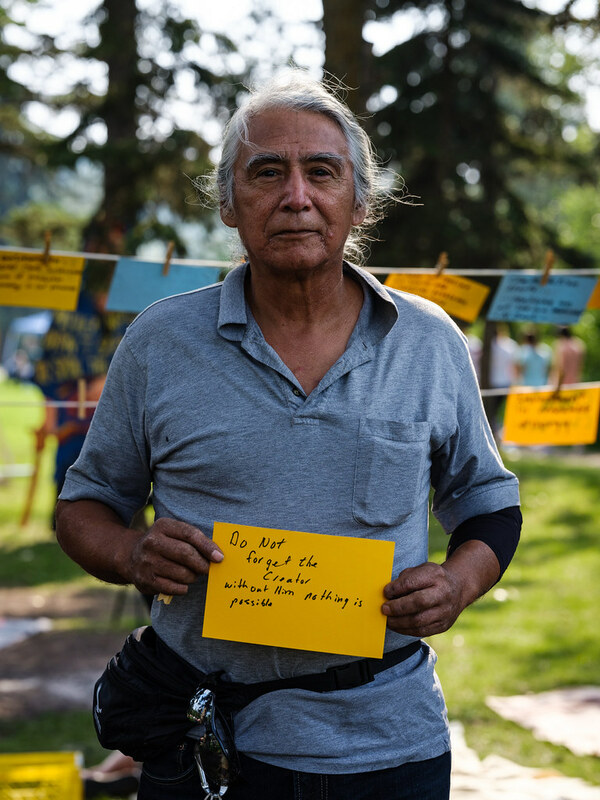 After opening this conversation with People on the Path, Climate Justice Edmonton will be working with the Council of Canadians and other organizations in the province to gather more peoples’ ideas of what a just energy transition in Alberta would look like and compile them into a more concrete plan with clear steps and an end vision. We’ll be doing this ahead of the provincial election next spring to counter what options politicians put forward, and be as loud as possible in saying there’s something bolder and brighter we should be shooting for. The project has been covered locally by the Edmonton Journal, Global News, and the CBC, and online by Common Dreams, Ecowatch, and Earther. You can watch a livestream of the People on the Path launch event here. And you can make a submission to participate in the project here. And don't forget to sign the “No Kinder Morgan Buyout” petition -- it's not too late to stop the deal!